Wet, usually open ground of all sorts, especially shores, river and stream margins, ditches, meadows and clearings, and depressions in or bordering forests. 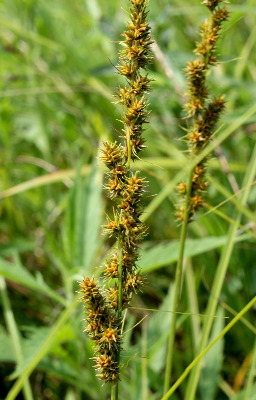 One of our most abundant species, often somewhat weedy; this is a later species to flower and fruit than the similar but much less common Carex annectens, and the culms are shorter than the leaves until late in the season, when, however, they can become as long as those of C. annectens. MICHIGAN FLORA ONLINE. A. A. Reznicek, E. G. Voss, & B. S. Walters. February 2011. University of Michigan. Web. 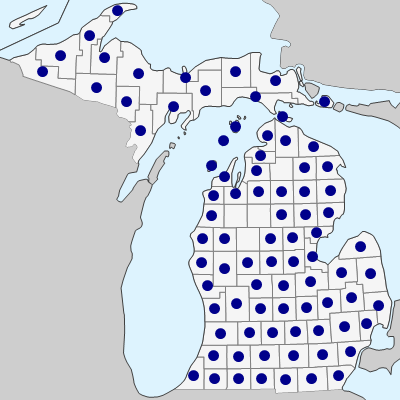 April 21, 2019. https://michiganflora.net/species.aspx?id=1081.